I'm sure this photo will make it onto a layout someday. A regular Thursday morning tradition. 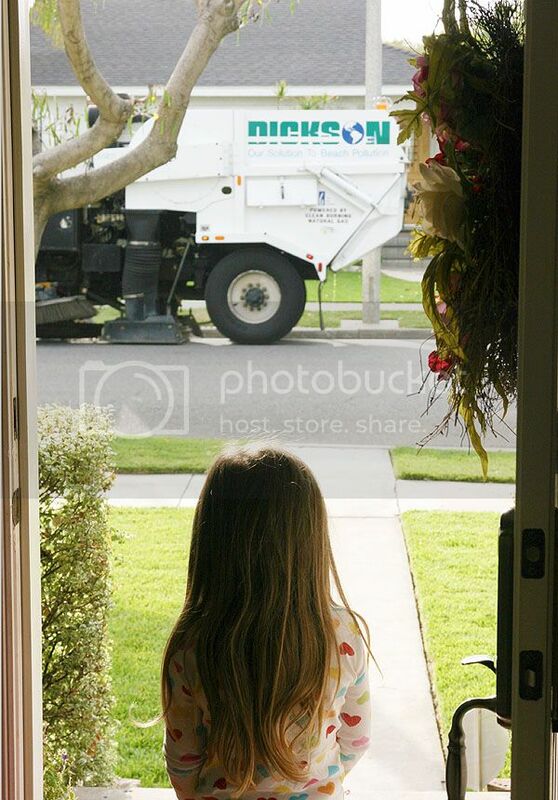 Watching and waving as the street sweeper goes by.